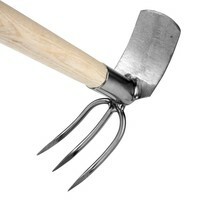 Occasionally the garden requires some heavy work in difficult conditions. 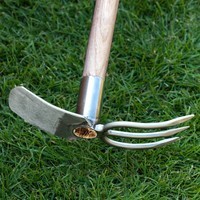 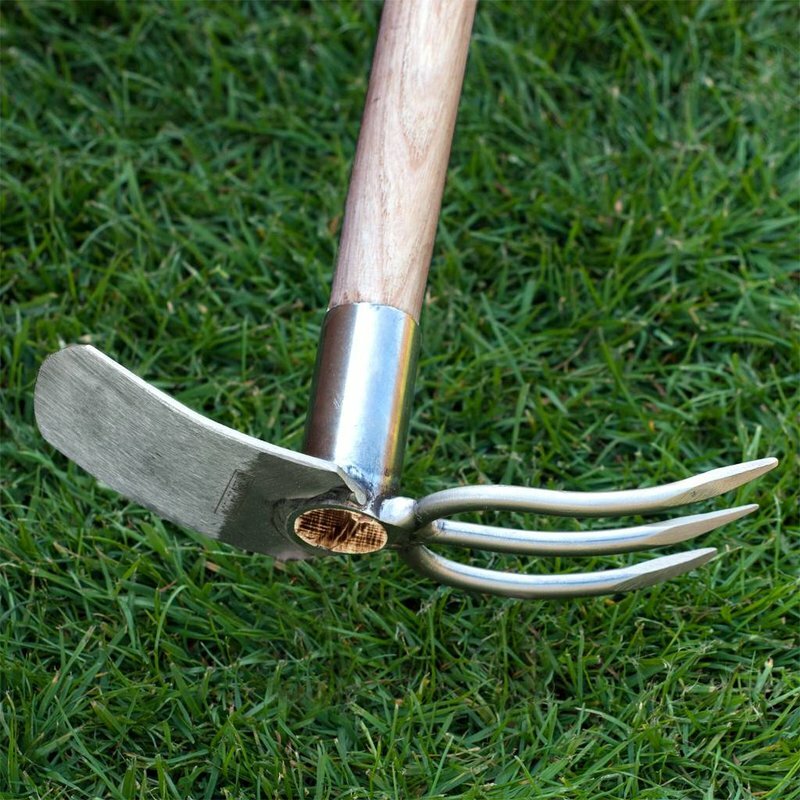 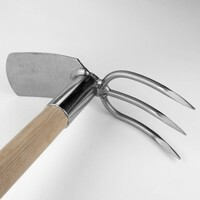 The long handled fork and mattock is tough enough to cope with almost all soil types and situations. 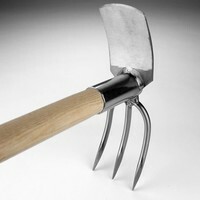 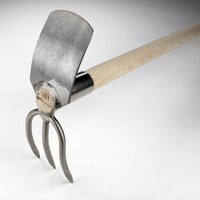 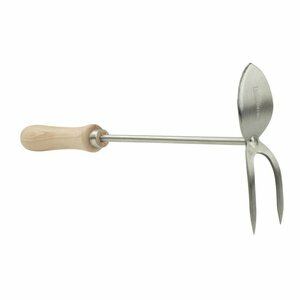 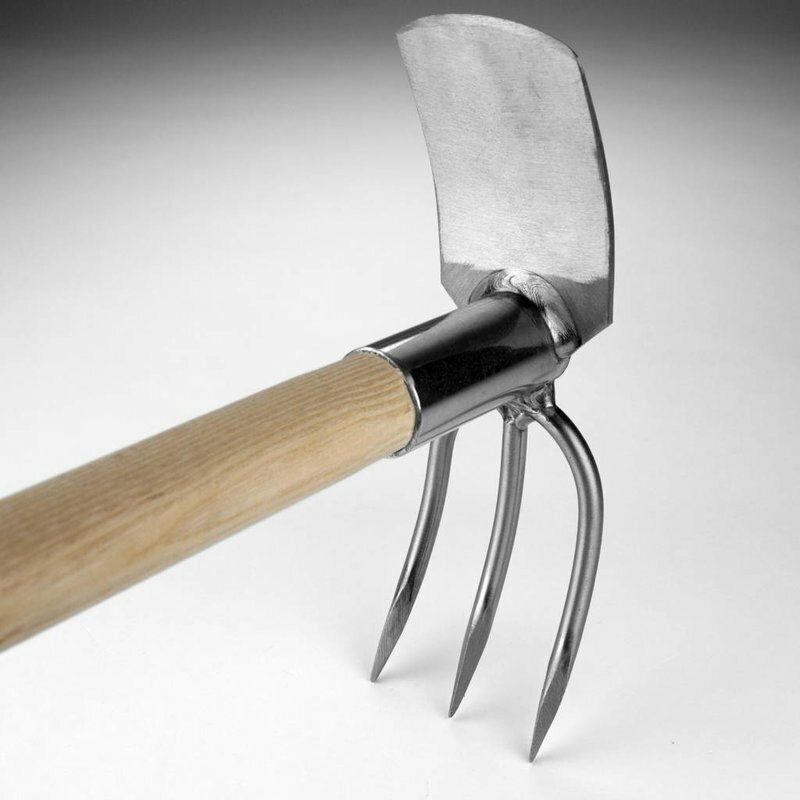 This ingenious Sneeboer design pairs a robust mattock blade with a sharp, three-tined fork, allowing you to both break up the most compact soil and create a reasonable tilth - without changing tools. 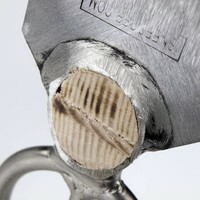 This double-purpose tool gets to grips with cultivating soil and decimating weeds and is particularly good when you need to work between plants.